The cleaning staff (Sultana and Stavroula) were awesome! Always helpful and smiling! So were Manolis at the reception and Stathis, the manager! Everyone was so kind and trying to make your stay the best they could! Thank you to everyone for a wonderful vacation! I am taking all the kindness along with the gorgeous views of the Aegean back home with me! Close to the ocean and the old city. 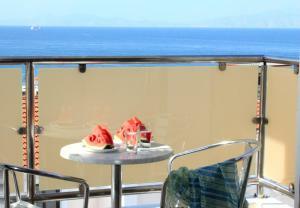 Apartment had a long balcony with chairs, table nice sea breeze all the time. Staff were helpful to give us recommendations and directions. Frite and microwave oven worked well.clean and spacious. Very safe neighbourhood. Everything else is great. Plenty of space and nicely appointed kitchen. Rhodian Gallery is in a great location. Close to lots of restaurants (the Volcano next door has the friendliest staff), the beach as well as in walking distance to Old Town. We love bed the incredibly comfortable beds, and the kids loved the fast wifi. The owner and staff were also very helpful and friendly. Welcoming staff, extremely concerned that our stay was perfect. Very convenient, quiet location. Immaculately clean. Great location, plenty of restaurants nearby, easy to walk in new and old town, close to beach. The location of the hotel is good, close to both the old City and the beach. The appartments are nice and we'll equipped. The reception is open until 23.00. Free parking is available in the near surroundings. 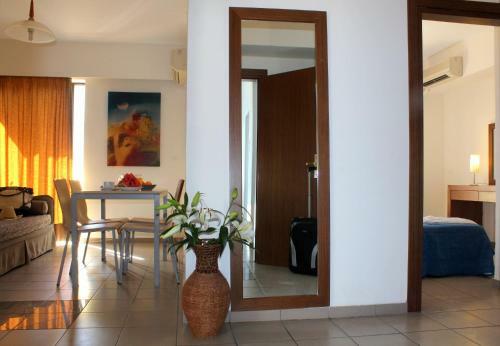 Nice, big and clean apartment, close to beach and not far from old town. Excellent and helpful staff and manager. Everything was perfect. Rodian Gallery Hotel Apartments is very good located, only 3-5 minutes from Aquarium and Elli beach outside of busy streets. 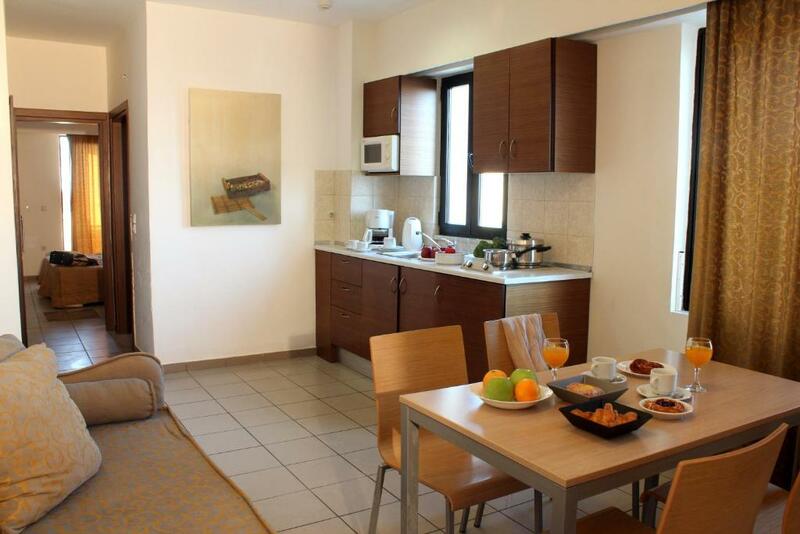 Also close to the city center and 15 minutes to Old Town. 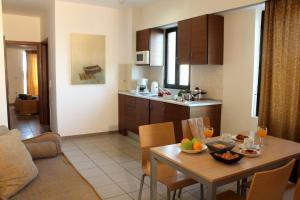 Spacious and clean apartment with balcony, TV, AC, strong WiFi and good equipment of kitchenette). Excellent and always very polite and helpful staff and manager. 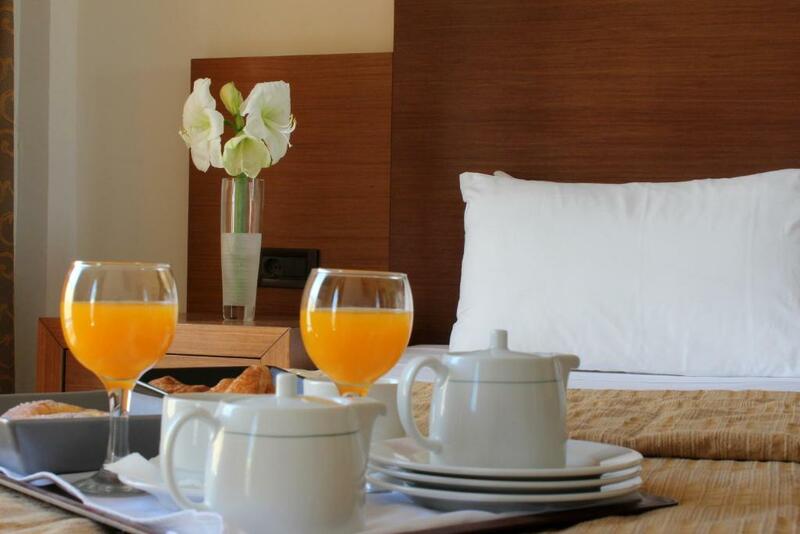 Lock in a great price for Rodian Gallery Hotel Apartments – rated 9 by recent guests! Rodian Gallery Hotel Apartments This rating is a reflection of how the property compares to the industry standard when it comes to price, facilities and services available. It's based on a self-evaluation by the property. Use this rating to help choose your stay! One of our top picks in Rhodes.The Rodian Gallery Hotel Apartments is centrally located in Rhodes, just 350 feet from Aquarium Beach and 0.9 mi from the Old Town. It features a restaurant serving Mediterranean cuisine and accommodations with free Wi-Fi and balcony with views of the Aegean Sea. On the ground floor there is an independent café-restaurant. The property is located right across from the Casino. The famous square of 100 Palms is just 350 feet away. Rhodes International Airport is at 8.1 mi. 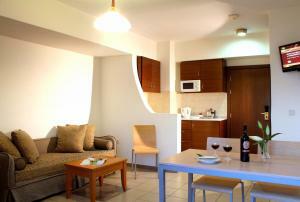 뀐 Located in the top-rated area in Rhodes, this property has an excellent location score of 9.6! 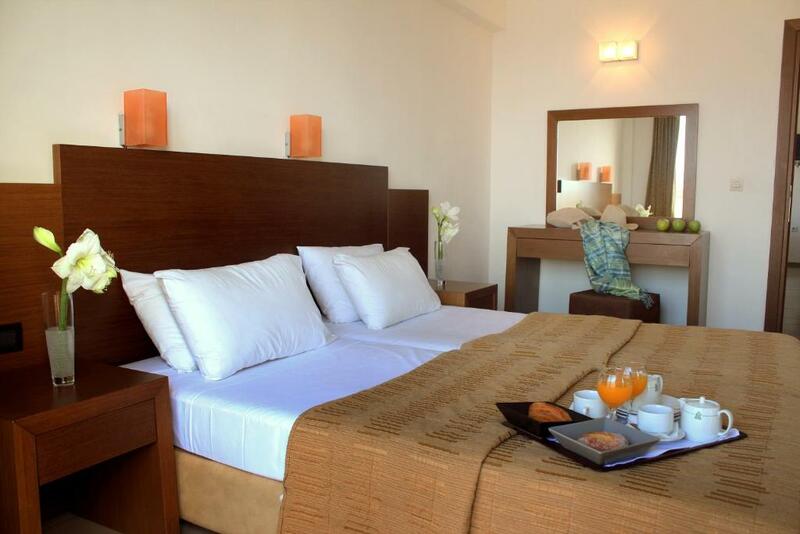 When would you like to stay at Rodian Gallery Hotel Apartments? 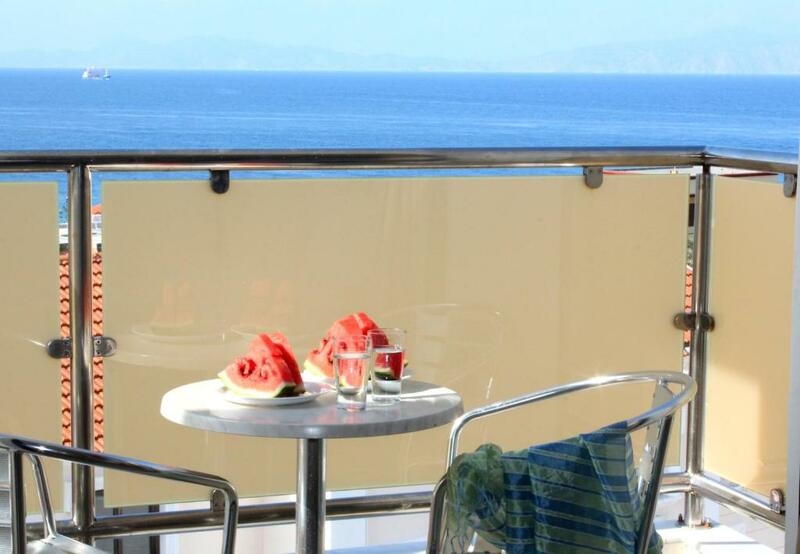 Just 328 feet from the beach this air-conditioned apartment has free WiFi and balcony with partial or full views of the Aegean Sea. 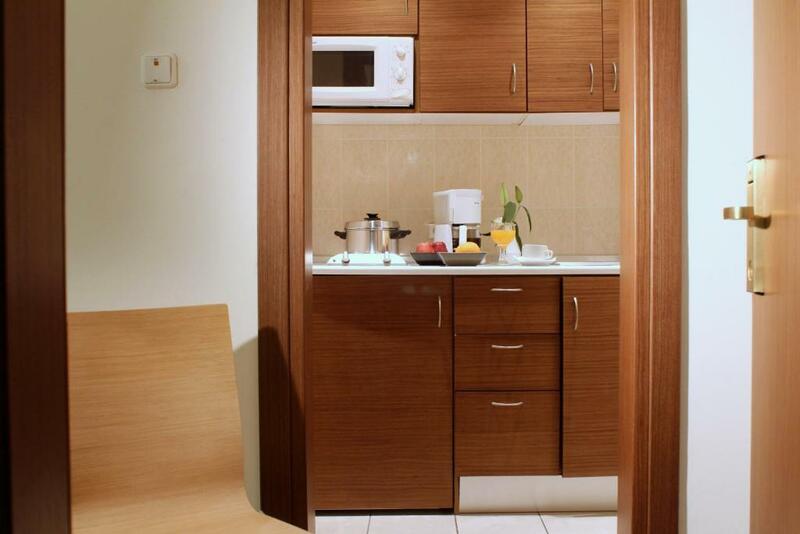 A kitchenette with cooking hobs, fridge and microwave oven is included. Just 328 feet from the beach this spacious, air-conditioned apartment has 2 bedrooms, free Wi-Fi and balcony with views of the Aegean Sea. 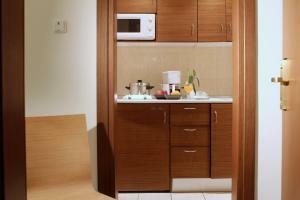 A kitchenette with cooking hobs, fridge and microwave oven is included. This unit can accommodate 2 extra beds. A rented car is included in this room type. House Rules Rodian Gallery Hotel Apartments takes special requests – add in the next step! Free! One child from 2 to 15 years stays free of charge when using existing beds. Rodian Gallery Hotel Apartments accepts these cards and reserves the right to temporarily hold an amount prior to arrival. It was very central and the people were very friendly. Awful management! We had issues with the manager who refused to speak with booking.com and was not willing to give us what we had specifically booked and paid more for it (e.g. sea view). Very unpleasant. We changed after the first night the hotel. Stay away!! We had last free apartment on the 1st floor, probably it was not used for long time (unpleasant bad smell in bathroom, bedroom, dirty curtains). TV did not work and RC was missing, but after reporting these problems next day everything was done (functional and clean). We have stayed here before and my only criticism is the high colored glass panel on the balcony. Great for safety and privacy but terrible for a view if you want to sit out there to eat or visit, etc. 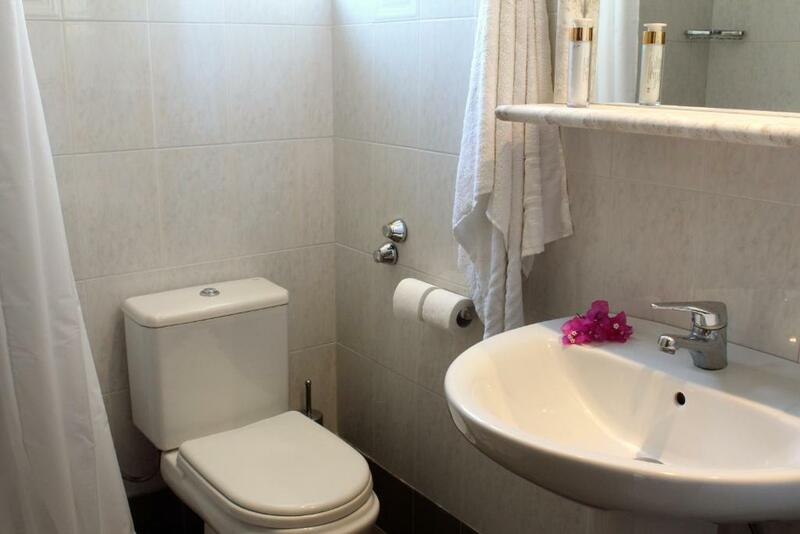 One bathroom was very small, but we had a double room and kitchen for our family of 5, so it was not really a problem; we just all used the larger bathroom. Really close to the beach and only 15 min walk to the old town. Lots of choice for bars/restaurants. Friendly and helpful staff. Cleaners came in every day. Good location, friendly person, good price. The absence of overnight reception staff. The receptionist who works mainly from afternoon until evening is very helpful, kind, friendly and very polite. Cleaning conditions, bed linen and towels could be better. Location is a big advantage if you are looking to stay inside the city. Of course there is noise from the streets but with doors closed its ok. If you are looking for something really quiet then its not the place for you. Also very windy location which helps a lot during hot days. Generally a location with multiple floor hotels and tourists from various countries. This hotel in particular had many families but in the neighborhood you can see mostly youngsters. Parking was easy in public streets. Management is very friendly and always available to help you with whatever you may need. Overall a good choice if you want to go around the city center, the harbor, the market and of course the old town of Rhodes.